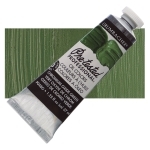 Professional colors contain finest pure pigments, milled in alkali-refined linseed oil. High chroma, superior tint strength, excellent adhesion, light-fastness, and archival permanence. ® Grumbacher is a registered trademark of Chartpak.™ Pre-Tested, Superba and Thio are trademarks.